Observation Monocular straight fixed tube.Stage Fixed square stage size 75 x 85mm with stage clips. Illumination Plano-Concave mirror diameter 25mm mounted on gimble mount. Objectives Achromatic 10X.Eyepieces Huygenian 10X and 15X. Please visit our website www.jlabexport.com for further details. - Fitted with binocular head. Stand : Ergonomically designed sturdy stand of anti rust material. 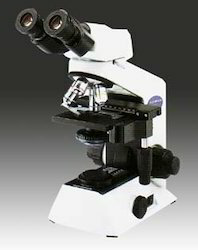 So as to uphold the standing we have built up, we are engrossed in presenting a broad compilation of Laboratory Microscope. - Base Heavy round base with precisely designed body. - Focussing sensitive focussing, done by rack and pinion arrangement. - Dissecting Revolving arm provided for moving magnifying lens over full stage area. 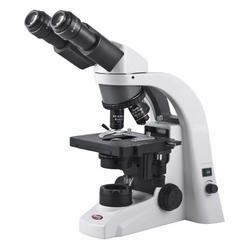 Since we have incepted in this immensely competitive market, we are able to offer a comprehensive gamut of Lab Microscopes.